Looking for a easy and affordable gift to give to your co-workers, neighbors, or teachers?! Something that doesn't break the bank, but it cute and useful?! How about a blanket?! Maybe I'm the only one who doesn't think there's such thing as too many :) Right now Wal Mart has adorable leopard print blankets for $4.98 and Old Navy has their fleece selection of blankets on sale for $5. A steal!!! 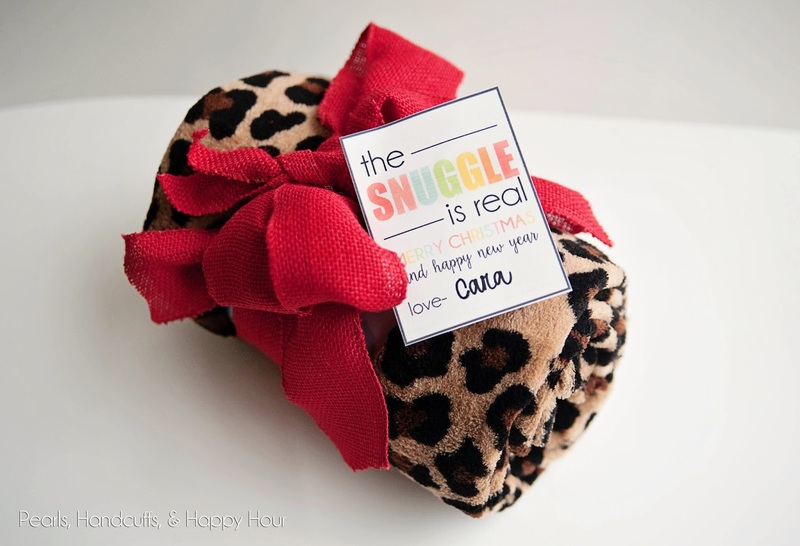 I personally think blankets make great gifts...especially this time of the year! OH my gosh, you're the best. I'm doing this with a little $5 gift card inside! Thank you. Cute cute cute! We've had that Walmart leopard blanket for years- I steal it from my kids when we watch movies. We gave all of my son's teachers Redbox codes with popcorn and candy this year. Thanks for the idea! I gave the Old Navy fleece to my grade level team, along with your cute tag and they loved them! By the way, have you finished your taste-test trials of meal delivery services? If not, wanted to give my vote to Blue Apron. I tried Plated as well but liked Blue Apron the best--also seemed more reasonable in price.